Masquerading as a nanny for her glamorous twin sister went against Ashley Camdon's prim-and-proper nature. The quiet academic lived life on the sidelines, but her sibling's "simple" request now put her life in danger and her heart on the line when she met her employer's darkly handsome retainer, Kyle Stone. An undercover agent, Kyle's orders were to keep close tabs on the new nanny who was implicated in an illegal scam. Yet nothing about this quiet beauty fit her high-living profile. When passion flared between them, her honest kisses exposed their lies. 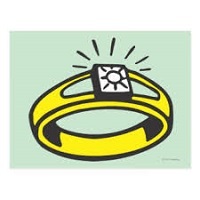 And made him see that the only life he now wanted…was with her! 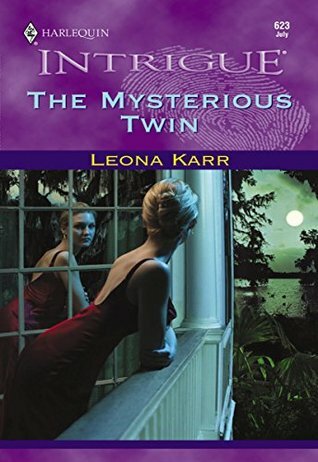 The Mysterious Twin is, honestly, one of those books that you read, laugh at all the clichés, mutter about the frustratingly dated romance, and roll your eyes about the standard, stereotype, carbon-copy characters. It's a book you read that DOES get interesting with progression, but remains a bit on the 'meh' side of actual enjoyment. I suppose I'm also kind of surprised by how quickly I finished reading this book; although, the truth is, it was pretty bite-sized. In a way, I think I kept reading because I just wanted to know how the book wrapped itself up with the twin-switch deception. But then, when the resolution DID come around, it was fairly abrupt, to the point that it felt like the author realized she hit her allowed number of pages and needed to end things immediately. There were a lot of things that I felt like the book could have addressed, like maybe the strained relationship between Ashley and Jill. But this book is a romance, first and foremost, so we spend the most of the short book detailing how Ashley and Kyle manage to fall in love in spite of all the deception and secrets. And, honestly, the romantic development was a little weak. I DID appreciate the rapport that Ashley develops with the children she's pretending to be nanny to. And I like lighthouses... although one was mentioned and detailed, not much happens around it, so that particular detail was moot. Anyway, The Mysterious Twin was a nice rainy day read, that really just amounted to "something to do to pass the time." One of the characters in this book is a millionaire/billionaire. I have always enjoyed Harlequin Intrigues but you're right, they tend to be forgettable but quick reads. I also enjoy a good Twin Switcharoo story line so if I happen across this one at a garage sale or the likes I'll definitely pick it up. Hopping over from COYER by the way. I haven't really read Harlequin all that long, but have enjoyed a good many ones, specifically the Harlequin Romantic Suspenses, I've had better luck with. The Mysterious Twin sounded super intriguing, and the beginning is actually not so bad, but things start diving downhill after a while. But it still passes muster for an entertaining time to pass a few hours. Hope you enjoy if you get a chance to read it!